Leading quality, unique design, good handling, cost-effective. Can make Φ6500×40mm dished end. Dished end is a major part which on the end cap of pressure vessels,such us storage tanks, heat exchangers, towers, reaction kettles, boilers and separation equipment. So our machine is quite wildly uesd in these fields. 2, A pressure wheel (mounted on the axle), and quenching treatment HRC46 ~ 50. 3, 17 forming wheels, R30,R50,R80,R100,R150,R200,R250,R300,R350,R400,R450,R500,R550,R600,R650,R700,R760,R820. 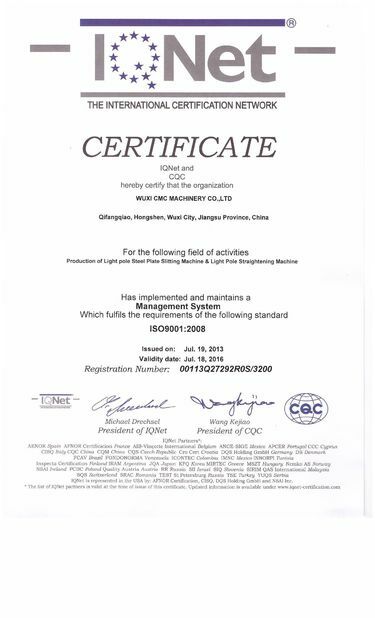 Material QT600-3, marked with stamp. 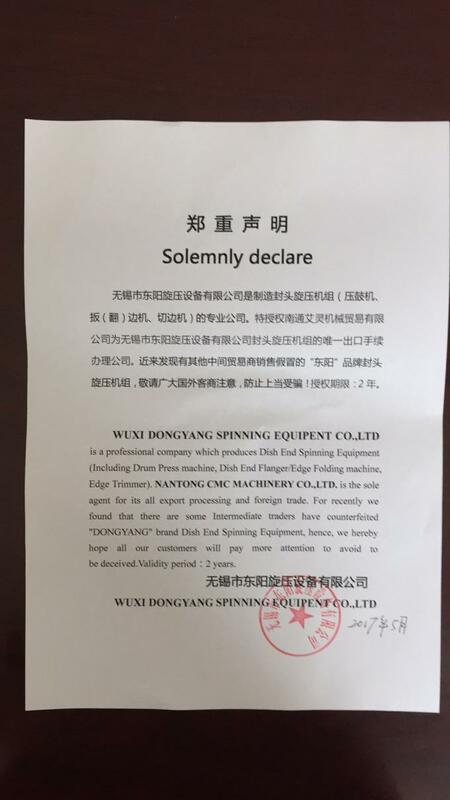 Forming wheel must have good abrasion resistance; dish end must have good gloss after spinning. 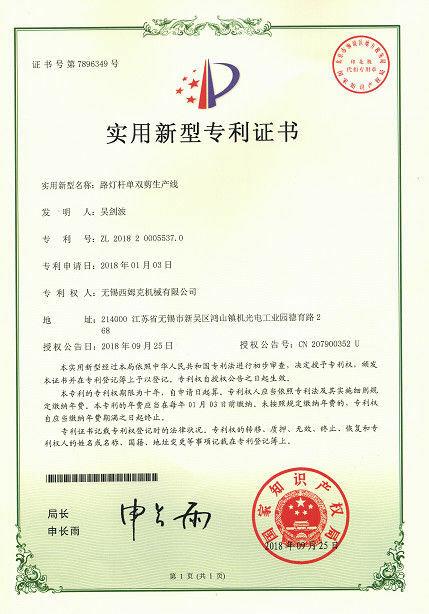 5, Nut (for screw) strength: abrasion resistance must ZHA166-6-3-2 (aluminum brass), that is 9-4 copper. 6, Inner height 3383mm Total height 4883mm. We use this machine to cut the plate. 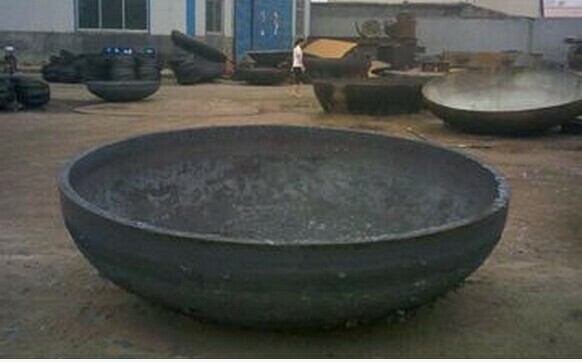 If small dish end, we can cut a whole circle directly, if big dish end, in order to save material, we usually cut two pieces, then weld them into whole circle. 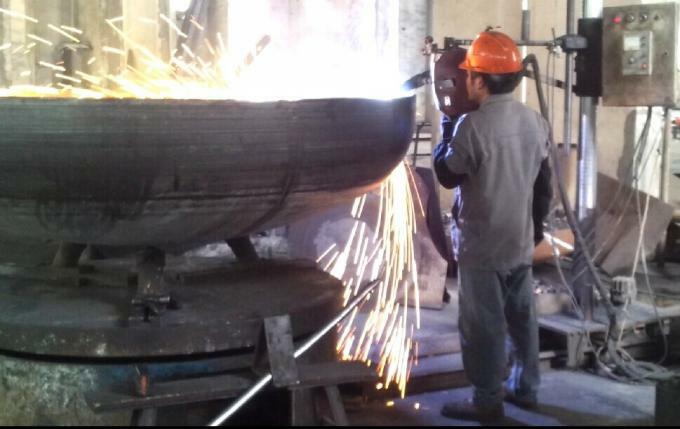 After welding, we use this small trolley to grind the welding joint and get flat material. 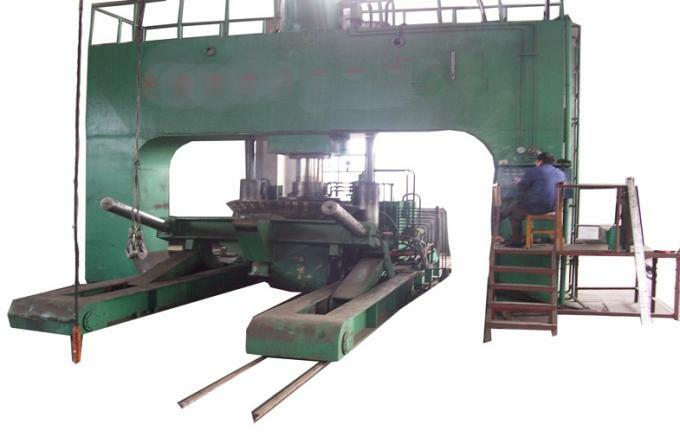 Flat material is loaded into pressing machine. 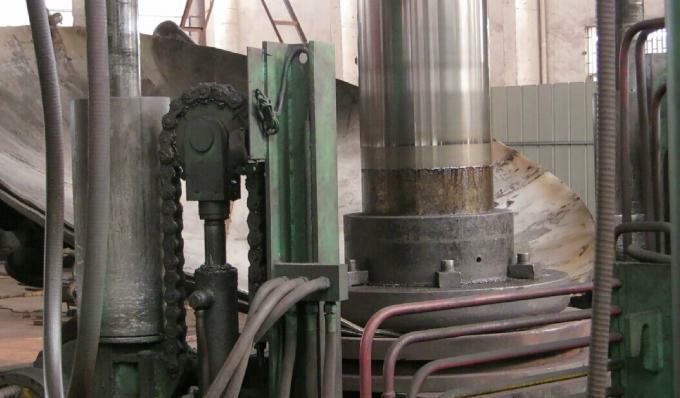 This machine’s piston rod of the master cylinder moves up and down to drive the upper tool to press the raw plate to become the required concave shape. 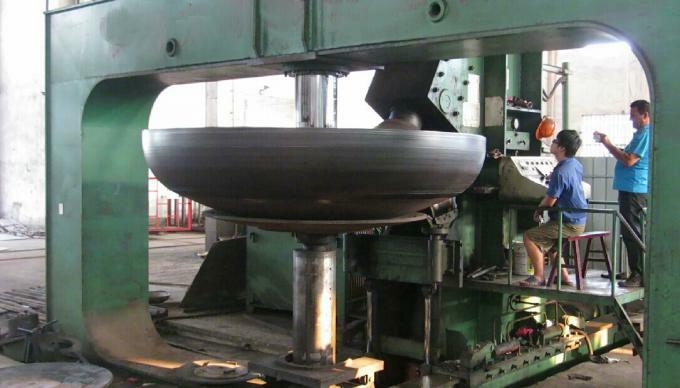 we load this concave shape plate into next machine: dish end flanging or edging machine. The clamping frame functions as the fix and free rotation of dish ends. 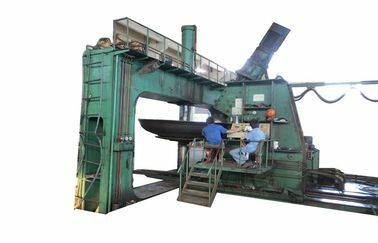 Pressure wheels make movements based on certain round arc and put force on the dish end blank to make it rotate constantly to form dish ends and make thickness reduction minimum to achieve the ideal state. We use it to cut dished end uneven edge.